The Hungaroring is important. No, really. When a sceptical fraternity scanned its eyes across the all mod cons Mogyorod facility for the first time in 1986, perhaps not even they will have appreciated the fork in the F1 road that it signposted. One for the sort of venues the circus would up sticks in at least. As if you were to muse over the sort of track that dominates the calendar these days, particularly the newer events, no doubt a few things would come to mind. Purpose built from the ground up just for F1. Super safe. All clean lines and vast architecture, with an accompanying sense that pretty much everything has been thought of. And all is bankrolled by the national government keen to 'brand' the country. But with it comes an attendant nag that something intangible - the well-worn charm, and much of the challenge too - has been lost in the transition. Well of these Hungary's Hungaroring, the scene of the latest F1 gathering this weekend coming, was likely the very first (contrary to some belief Jerez which debuted earlier that year doesn't count as it hosted a motorcycle race first). And it's especially important this time, as this visit marks its 30th (gulp) anniversary as a Grand Prix venue. Modern F1 - 30 years young. A disquieting thought. When the track made its mentioned bow it was constructed in just the preceding seven months on a natural-bowl greenfield site not far outside the splendid city of Budapest. And now all this time on it's easy to forget what a complete step into the unknown this represented then for both F1 and its hosts. This was for many more reasons than usual as the fraternity was venturing behind the 'Iron Curtain' into the Eastern European 'Bloc', which Hungary was then part of, for the first time and at a time when contact between 'east' and 'west' was close to non-existent. Never one to pay heed to impediments Bernie Ecclestone held a long-standing desire to host a race therein, and indeed as early as 1983 a street race in Moscow appeared on the provisional F1 calendar. That plan foundered on insurmountable bureaucracy but by 1986 Hungary, always the most open and outward-looking of the Eastern Bloc countries, stepped up to the plate - the national motorsport association and foreign ministry liked the idea and the country even had a motorsport heritage with a Hungarian Grand Prix in 1936, in Nepliget, a park in Budapest's suburbs, won by Tazio Nuvolari - and Bernie pitched a ball their way. Reflecting the leap into a new world, or a new world leaping into an old one depending on your perspective, Martin Brundle has spoken of the incongruous hush of the vast throng assembled in the stands as all prepared on the dummy grid before the freshman race, as they simply had no idea what to expect would unfold before them. The first event was considered a success though, not least because of a staggering 200,000 people, including some from East Germany, Czechoslovakia and elsewhere, being there on race day. It also benefited from a fine and occasionally lairy battle for the win between Nelson Piquet and Ayrton Senna - as usual no love was lost between those two countrymen. But enthusiasm wasn't universal, as another departure marked by the new event was in the circuit's layout. For a sport used to fearsome high speed challenges like the Österreichring and Zandvoort (and it didn't help that the Hungarian track replaced the latter on the calendar) particularly in the European season this was also one of the first tracks that by contrast was torturous and low-speed, the sort that also since has become rather more familiar. 'Monaco without the houses' became the description of choice back then. And 30 years on that's broadly how things remain at the Hungaroring. A twisty track and a low grip surface, overtaking difficult, and a large, enthusiastic, multi-national crowd in attendance. And as was the case for a few other venues that were unpopular initially - the 'new' Nurburgring, the A1/Red Bull Ring and others - its popularity more widely has crept up over time, probably reflecting the changing context of the calendar around it. Even so this circuit still has the lowest average speed of any purpose-built one on the calendar. Piling on as much downforce as you can and having strong traction are the discriminators - again just like Monaco. It's not all bad however. This place also has developed a knack of being the stage on which every so often great drivers put in great drives. One can think of Nigel Mansell's against-all-odds beating of the McLarens from 12th on the grid in 1989, Damon Hill oh-so nearly pulling off probably the biggest shock win of all time in the Arrows in 1997, Michael Schumacher's suspension of normality to win in 1998, and Fernando Alonso's astonishing (and sadly largely forgotten) progress in the wet in 2006, among plenty of others. In the 2014 race too in a wet then drying afternoon there were many heroic efforts on display. Some of the races here have even managed to be actually diverting. It's also got a knack of being the scene of debut F1 wins - being so for Damon Hill, Fernando Alonso, Jenson Button and Heikki Kovalainen. It's hard to envisage a freshman triumph this time though. While more recently the great drives here haven't been spread around so much. 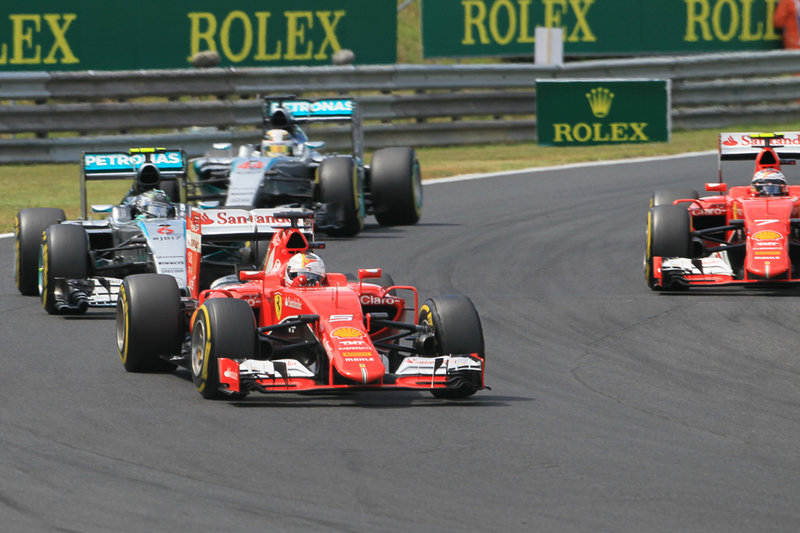 This weekend's gathering like most recent F1 gatherings at the Hungarian track looks in advance a lot like a matter of halting Lewis Hamilton. Not just because he's won four of the last five rounds, but moreover that this circuit even among the others is a particularly happy place for him. He's won here four times and almost always has been a contender. He even won for Merc in 2013 before the Merc got good. The following year he didn't let starting from nearly last stop him from finishing on the podium. Last year though, confusing the matter you might say in typical Lewis style, while again he looked set to dominate he drove like a hooligan on race day after a poor start. Still, it seems the track's acrobatic layout and low grip surface are relished by the Englishman. 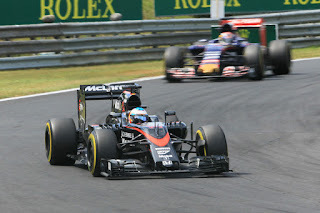 No one quite makes a car dance through the Hungaroring like him. As you might imagine too he is talking in advance with some chutzpah. And this will only add to the things that his Mercedes team mate Nico Rosberg has to chew over. Matters, perhaps, are getting critical for him. Not only that his previously towering 43 point championship lead has been chopped down progressively to one, but also that last time out in Silverstone Lewis took him to the cleaners all weekend. A one-off, related to that Lewis always goes well at home? Or, as with after Spa in 2014, Nico is taking time to re-establish his rhythm when the relationship with his team mate gets testy following a clash? As outlined, Nico could hardly ask for a tougher place to prove it's the former, and you can add to it that he's never so much as finished on the podium here. But then again in a more general sense he has bounced back plenty, and unexpectedly, before. Adding to what is on his plate, matters may not be mainly about the Mercs this time, as it's a track that could be designed for the Red Bulls. Not much in the way of straights and plenty of demands in low speed grip, which the RB12 is thought to lead the field in. 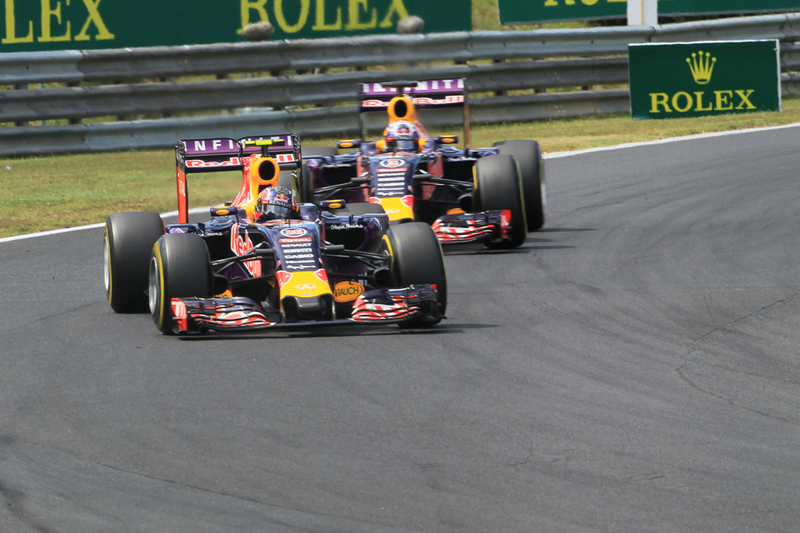 Both Daniel Ricciardo and Max Verstappen were superb here last year. 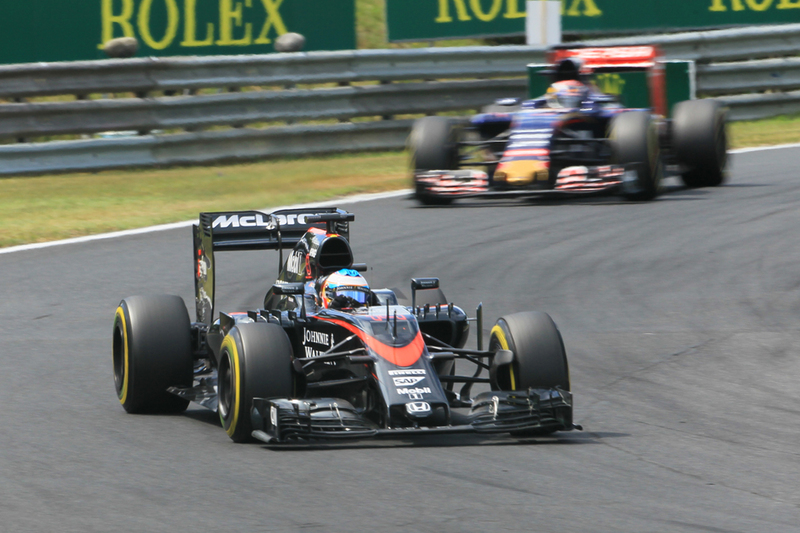 The team's main concern will be whether its recent in-race tyre-handling woes have been resolved entirely. 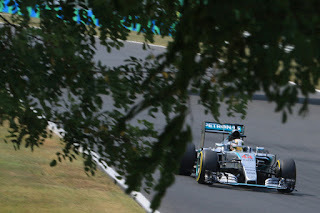 But even so Merc boss Toto Wolff has stated that the silver team needs to be "flawless" to beat the Bulls. 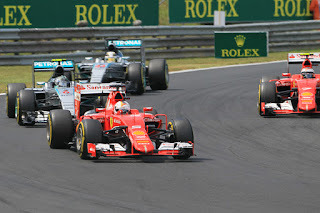 For Ferrari however matters remain rather up in the air. A car that apparently is hard to extract the best from, an unreliable gearbox (and it really can't afford a grid penalty here), iffy strategic calls and perhaps most regrettably a package that simply isn't the best at anything (the Bulls have a better chassis; the Merc a better power unit and arguably a better chassis too) have added up to some bewildering recent performances. That familiar boiling-a-frog type increase in heat down Maranello way seems unmistakable. Boss Maurizio Arrivabene has tilted matters high this weekend nevertheless, stating that for the Scuderia's season it's rather Hungary or bust. As for others to watch, this round is a good opportunity for those without the most powerful power units, and McLaren combines this with a chassis that's good at low speed. The Toro Rossos are worth keeping an eye on for similar reasons. Much of this track's trouble is in its almost never-ending succession of slow but often lengthy and lingering corners, and especially the one that leads onto the track's only straight worth the name. When in another's wake through these the front grip of cars tends to wash out meaning competitors for the most part run a respectful distance apart from each other. Safety cars aren't all that common here either. Last year's madcap fare was entirely out of local character. But this time the available tyre compounds may nudge teams more towards three halts, given the presence of the supersoft tyre, which most of piled high on and presumably will be qualified with. Adding to the riddle is that the track has been resurfaced this time - which is predicted to provide greater grip - and two of the turns have new kerbs. A further aspect this place shares with Monaco - and further confusing matters - is a rapid track evolution in the course of the weekend, meaning bum steers on tyres and set-up are common. This is down to that the track isn't used much the rest of the year combined with the local climate to ensure plenty of dust around. Even as the race nears its end ventures off line are unlikely to be rewarded. Much therefore will be a step into the unknown this weekend. And for the reasons given strategy will matter a lot in this one. There are recent-ish examples of people having joy at this track with bold approaches, such as Kimi Raikkonen in 2013 vaulting up to second by stopping once fewer than those around him and him achieving the same effect the year before except via an offset approach wherein he pressed on for longer before his stops. 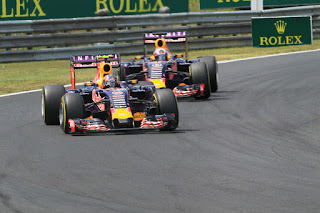 Mark Webber also had something of a wildcard presence in 2013 having started on the medium tyre which helped him to a fourth place finish after he started tenth. Ricciardo might have won here last season after saving a set of soft tyres in qualifying to attack on them at the end of the race. Races here often have a marathon quality too - a long afternoon in the heat mentioned with little opportunity for drivers to rest. It can be similarly demanding of equipment, as there are few opportunities to cool components here either. As outlined Lewis is the favourite for this one, and for more than one reason. But even with its tepid image, Lewis knows better than most that things aren't always that simple at the Hungaroring.